Much of the equipment and supplies aboard the “humanitarian” ships for Gaza has been checked and found to be worthless. 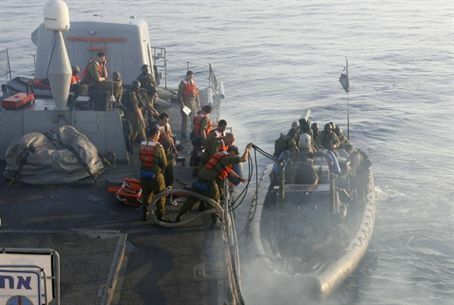 The cargo was taken off the boats at the Ashdod port and checked there, in accordance with the Israeli embargo on Gaza. The embargo is an acceptable measure taken between entities that are in a state of armed conflict, as are Israel and Hamas-run Gaza. An IDF source said that the poor condition of the supplies renders most of it unusable. “This once again strengthens the evaluation that the intentions of the flotilla organizers were not humanitarian in the first place,” he said. Many of the medicines are expired and/or came in an assorted, not easily organized manner. In addition, much of the equipment is in poor condition. Despite this, it is being taken to the Kerem Shalom crossing, and will be distributed in Gaza by human rights organizations. Israel, despite the blockade, allows thousands of tons and food into Gaza each day.